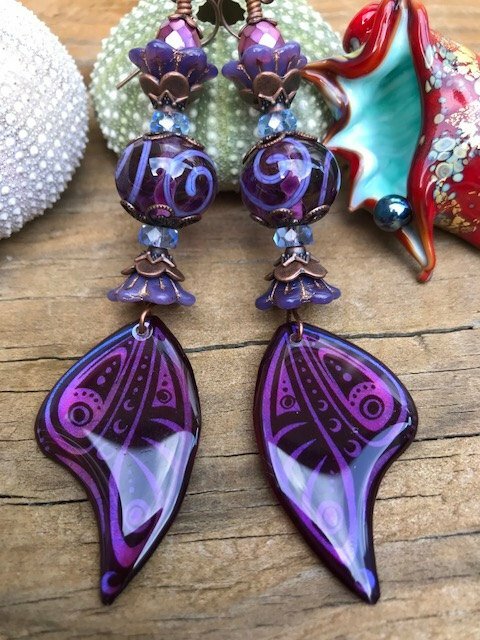 I was delighted to hear back from Shannon Pezzolla of One Groovy Cat Designs, a happy Etsy customer, recently - she kindly sent me these two pictures of earrings that she'd made using some of my size-matched pairs of lampwork glass beads. You can find these gorgeous, gorgeous pieces of wearable art here and here! What I love about these earrings is their sheer sense of style - multiple components have been put together absolutely beautifully to create utterly unique pieces. Stunning!